About the group Historical and modern images of people and places in Dover. 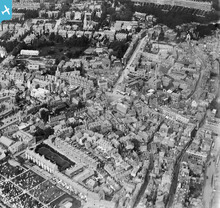 This photo includes: Cowgate Cemetery, Gorely House Almshouses, Albany Place, Queen Street, Snargate Street, Market Square, Cause is Altered public house, White Horse Inn, Old St James church, New St James Church, Castle Street, Church of St Mary the Virgin ("St Mary's Church"), Pencester Gardens, and part of Victoria Park. Clicking on the "see image record" link displays the aerial photo complete with pins (placemarks) and a zoom feature for registered members. Erected in 1820, and once Dover National School. 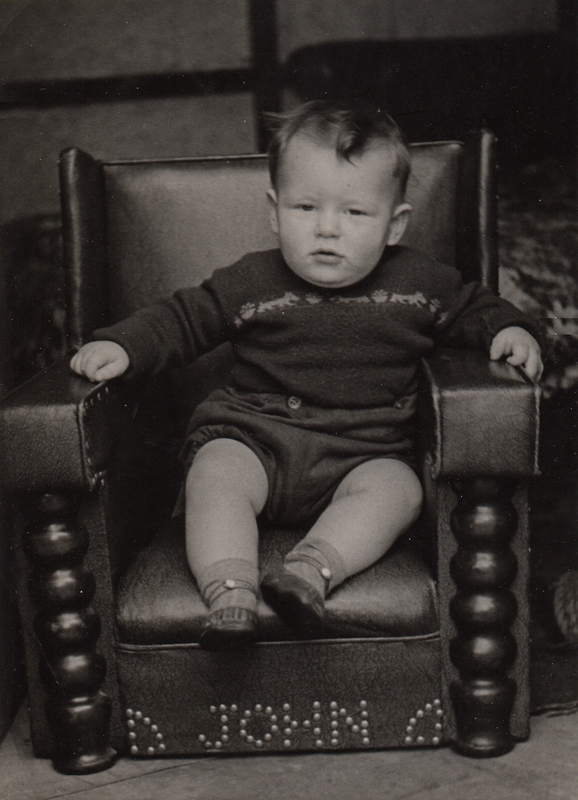 I went there from 1958 until 1962. My teachers were: Miss Meadows, Dai Rees, Bob Winter; Mr Leach was the Headmaster. 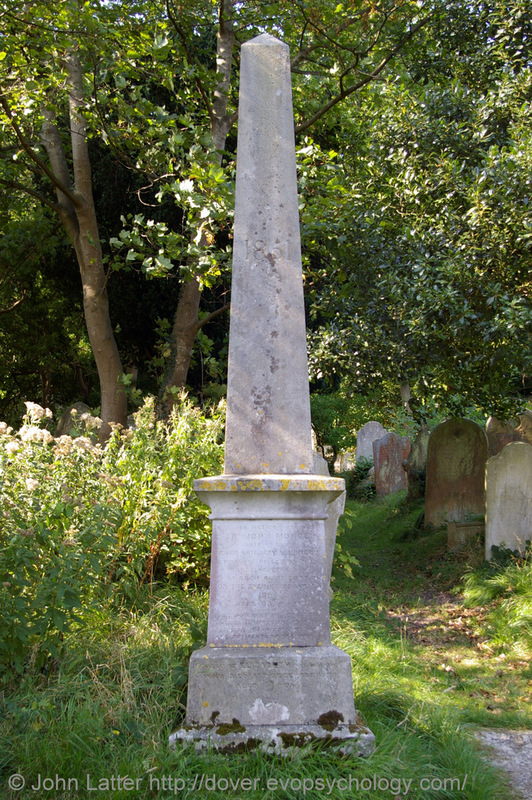 The 1860 Sergeant John Monger Memorial Obelisk is a well-known feature of Cowgate Cemetery Nature Reserve, Dover, UK. Sergeant Monger and Lieutenant Thompson were killed when a cannon exploded at Arch Cliff Fort (Archcliffe Fort) on August 9th 1860. 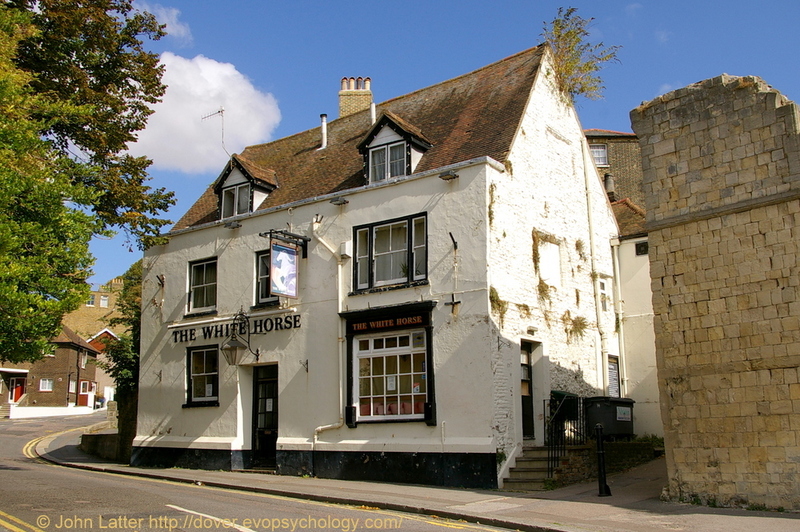 The White Horse Inn, St James Street, Dover, UK. Ruins of Old St James Church on the right, Hubert Passage between church and pub. A plaque inside Old St James Church says, "The White Horse Inn next door to the church is said to date back to about 1300, although most of the building visible today dates from the 18th Century." The White Horse is currently run by Jeanette Harper and is a popular venue for cross-channel swimmers, many of who have signed their names on the walls and ceiling. 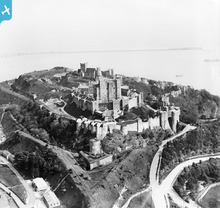 The central Keep, or Great Tower, and ex-Palace Tower, of Dover Castle is 83 feet (25.3m) high and just under 100 feet (30m) square with walls up to 21 feet (6.5m) thick. The architect was 'Maurice the Engineer' (or Mason) and it was built between 1180-1185 during the reign of Henry II. In turn, the Inner Curtain Wall is contained within the Outer Curtain Wall that has two main entrances at Canons Gateway and Constable's Gateway. Behind and just to the left of the Keep are the AD 46 East Roman Pharos (a lighthouse or watchtower) and adjacent church of St Mary-in-Castro, commonly termed Saxon but also attributed to the second-century King Lucius of Britain who ruled under the Romans. The West Roman Pharos is known as the Bredenstone. 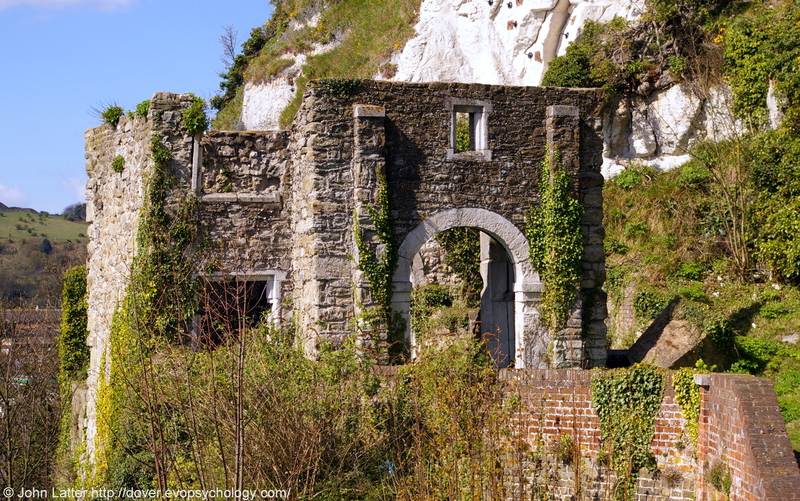 Castle, Church, and Pharos are Dover Listed Buildings and Dover English Heritage sites. 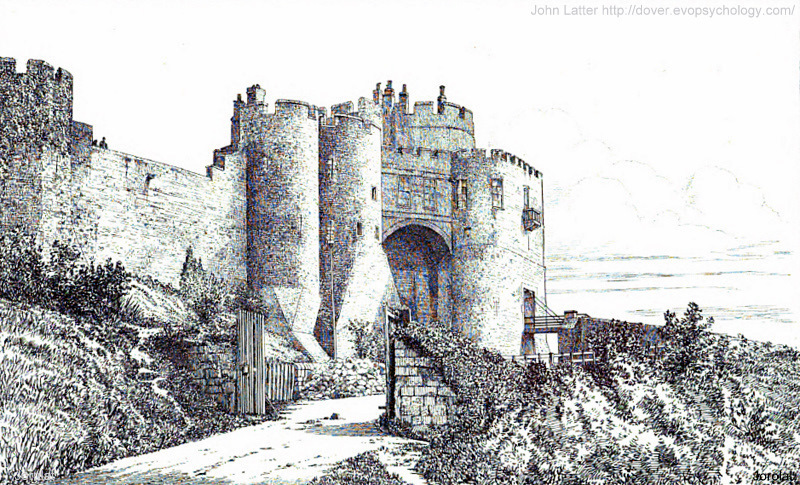 An 1869 Victorian drawing of Constable's Gate of Dover Castle, Kent, UK. Constable's Tower was built by John de Fiennes under William the Conqueror and for this reason was once known as Fiennes' Tower. 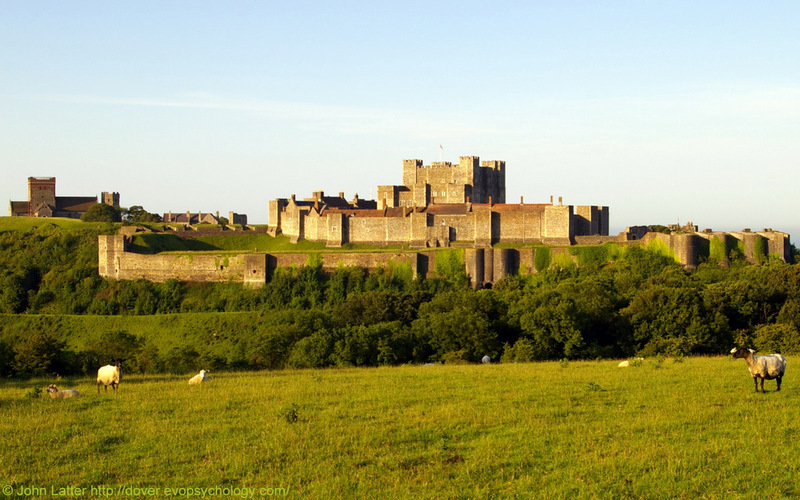 Rebuilt after 1216 Siege of Dover by Hubert de Burgh under Henry III. This illustration, possibly by S or G Winebridge (indistinct lettering), was printed by W. W. Sprague and Co. Ltd. of London. Constable's Gateway was modernized in 1882 and is now the living quarters of the Deputy Constable of Dover Castle. 1899 source: "For a long time the porter's lodge contained a sword, an old key, and a horn, which were described as belonging to the days of Julius Caesar." 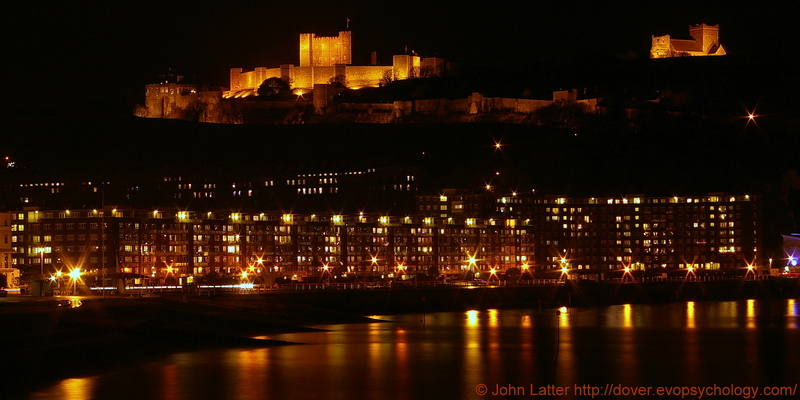 Dover's Norman Castle is an English Heritage site, Grade I Listed Building, and Scheduled Ancient Monument. This view shows the Keep (or "Great Tower"), Forebuilding, Inner Curtain Wall, and Eastern Outer Curtain Wall (North) of Dover Castle. Keep has replica medieval Royal Palace. Inner Bailey: Arthur's Hall, Queen's Regiment and PWRR museum. King's Gate, North Barbican, Colton Gate, and Bell Battery. Outer curtain wall: Avranches Tower, Norfolk Towers, Fitzwilliam's Gate, North Watchtower and South Watchtower. Also: Constable's Gateway, Garrison School, Roman Pharos, and Saxon St Mary-in-Castro church. View: hidden East Wing Battery of Victorian Fort Burgoyne (ex-Castle Hill Fort). The field (no access without permission) is where part of the French army were arrayed during the Great Siege of 1216. Listed Building and English Heritage site. History photo. The Norfolk Towers at the northern end of Dover Castle viewed from a field where French soldiers stood during the Great Siege of 1216, now adjacent to the hidden East Wing of the Victorian Fort Burgoyne. Zoom shot of 400 yards. The main entrance to Dover Castle prior to 1216 was the North Entrance, or Northgate. During the siege, engineers of the Dauphin (Prince Louis, later Louis VIII of France) so damaged the eastern gate tower of the North Entrance by mining that Hubert de Burgh (Constable of Dover Castle under King John, then Henry III) subsequently sealed the gateway. Norfolk Towers, St John's Tower, and Spur built in its place. St John's Tower connected to castle interior by an underground passage/tunnel. 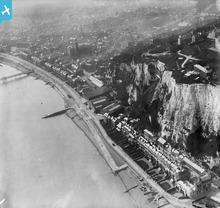 This photo shows the southern end of Dover Castle above East Cliff and Marine Parade with a somewhat murky view of the town beyond. Points of interest include the ruins of Mote's Bulwark (or Moat's Bulwark, built in 1539 by Henry VIII), Charles Lightoller's old home at 8 East Cliff (he was the senior surviving officer of the 1912 RMS Titanic iceberg disaster), and Camden Crescent (where Charles Dickens penned part of Bleak House in 1852). Ruins of Mote's Bulwark Gatehouse on the White Cliffs below Dover Castle, Kent, UK. 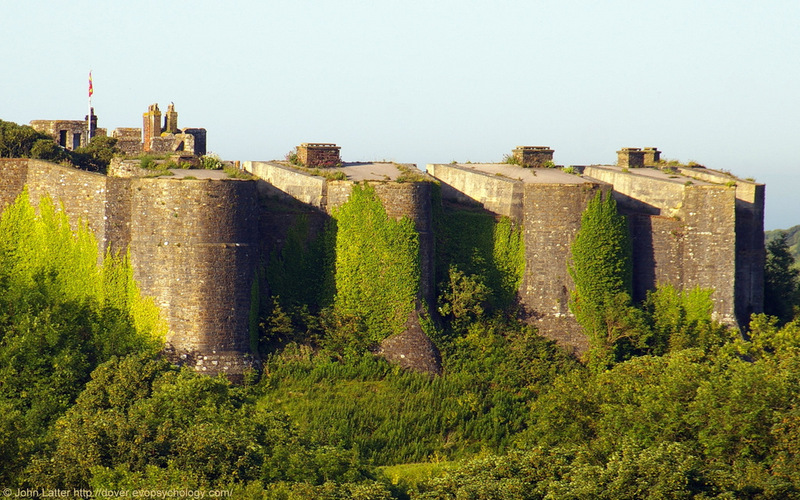 The Mote, or Moat's Bulwark coastal artillery battery: semi-circular lower level/platform and upper level terrace with West Gatehouse or Guardroon. Built by King Henry VIII on the cliff-face below Dover Castle in 1539. He also built Black Bulwark and Archcliffe Fort (Archcliffe Bulwark). A 16th century plan depicts Mote's Bulwark as a timber revetted platform approached by tunnels in the cliff, although it was remodelled as a large semi-circular battery in around 1750. A Dover British Army, Royal Artillery, and Coastal Artillery history photo. "Lights" nearly joined Knight Bachelor 1899 but was "shanghaied" (his own word) into serving on the far less desirable Knight Companion instead. In 1912, Lightoller was second mate on, and senior surviving officer of, the RMS Titanic iceberg disaster. 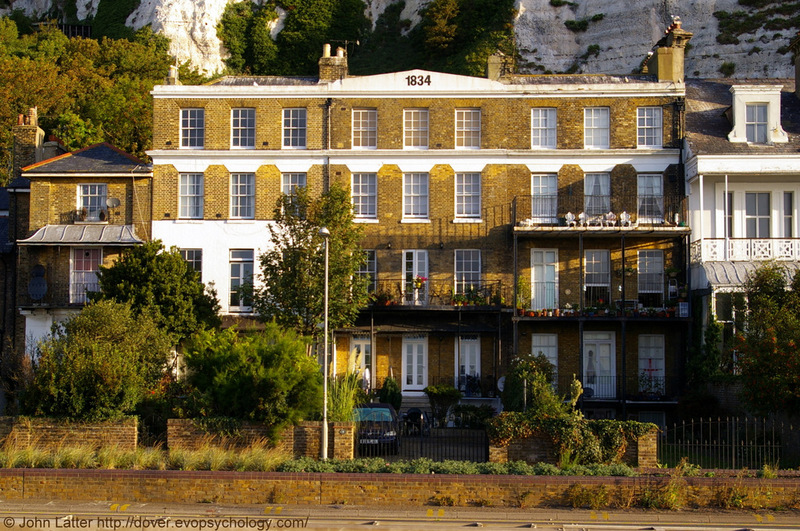 The Spanish Prince was subsequently scuttled in Dover Harbour in 1915 for use as a blockship during World War I.
Lightoller joined the "Dover Patrol" in 1916 and lived 8 East Cliff (left-hand house in block of 3 in the photo) where he could see the Spanish Prince blockship. No doubt it brought back memories of having been shanghaied! 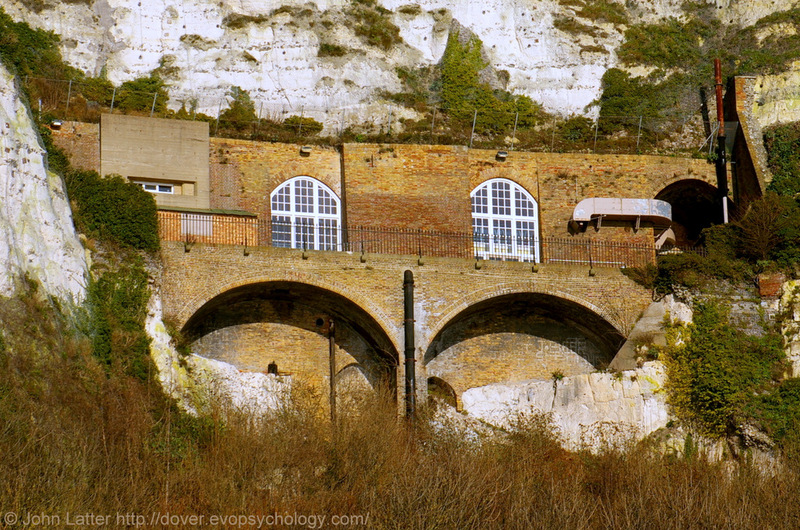 Cliff Casemates Balcony, Secret Wartime Tunnels Entrance, Dover Castle, Kent, UK. Casemates Balcony, locarted 50 feet or so below the cliff-top, is where Prime Minister Winston Churchill and Field Marshall Jan Smuts (alt. Field Marshal) were photographed during World War II. The cliff tunnels the balcony gives access to are much older, of course, and were begun in 1797 by Colonel William Twiss, the Commanding Engineer of the Southern District, as part of his brief to improve the town's defences during the Napoleonic Wars with France. The first troops were accommodated in 1803, and at the height of the Napoleonic Wars, the tunnels housed more than 2,000 men: to date they are the only underground barracks ever built in Britain. The Victorian Camden Crescent (a Listed Building) was built in 1840 and runs from the Indian Mutiny War Memorial in New Bridge (the buildings behind the tree on the left) to Wellesley Road (by the Gateway Flats, out-of-shot to the right). The build date of 1840 is at the juncture of two architectual periods: Georgian architecture and Victorian architecture. "In 1852 CHARLES DICKENS and his family lodged nearby in Camden Crescent while he wrote parts of Bleak House. The author Wilkie Collins was a regular visitor." Number 1 East Cliff is the former Georgian home of Lieutenant-General Sir Henry Le Geyt Bruce (1824-1899), Knight Commander of the Bath, and a Listed Building. Educated at King's School Canterbury, Bruce joined Bengal Artillery in 1842, then Royal Artillery post-1857. Bruce served in: "The Gwalior campaign, at Maharajpiu: in the Satlaj campaign, 1845-1846: at Badiwal, Aliwal, Sobraon: in the Panjab campaign, 1848-1849; at Sadulapur, Chilianwala, Gujarat : in the Indian mutiny (Indian rebellion) at the second relief of Lucknow, at Cawnpur and many engagements." 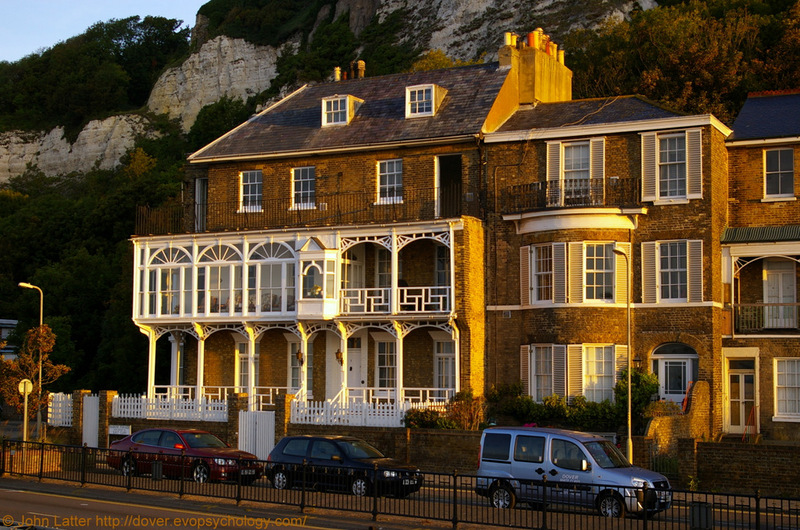 Houses of East Cliff are located near Henry VIII's Mote's Bulwark on the White Cliffs of Dover below Dover Castle. A Dover Architecture and British Army history photo. Dover Priory Rail Station (Railway Station) opened on 22nd of July, 1861, as a temporary terminus of the the London, Chatham and Dover Railway (LCDR). 3) LNER A1 Class 4-6-2 no 60163 Tornado Steam Locomotive (Canterbury Tornado). Click on "see image record" to see all pins. Funeral Locomotive of King George VI, Dover Priory Railway Station, Kent, UK. British Railways Britannia Class 7MT 4-6-2 no 70000 Britannia Steam Locomotive hauling the 12-coach Cathedrals Express as she passed through Dover Priory Rail Station (alt. Dover Priory Train Station, Victorian) at 5.47 pm on Thursday 7 April 2011. Cab roof once painted white to commemorate her pulling the funeral train of King George VI - of "The King's Speech" film fame - from Norfolk to London following his death on the 6th of February 1952 at Sandringham House, Norfolk. 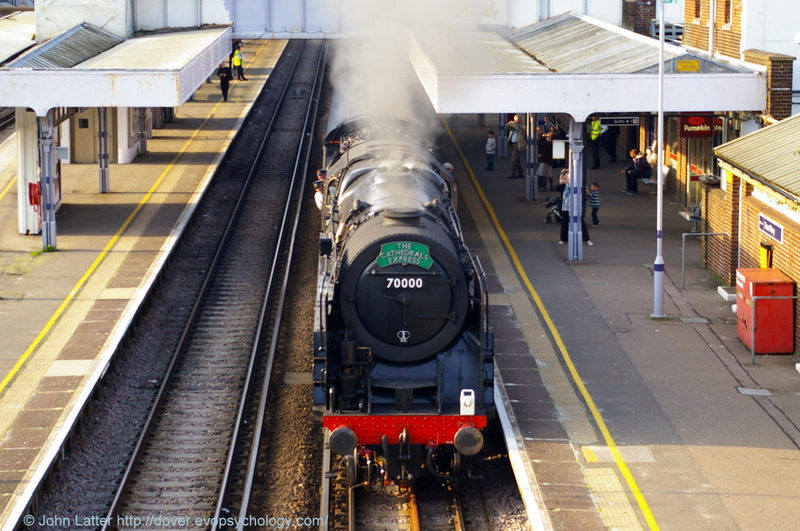 Oliver Cromwell 70013 Steam Locomotive, Dover Priory Rail Station, Kent, UK. British Railways BR Class 7MT 4-6-2 no 70013 "Oliver Cromwell" at Dover Priory Railway Station (alt. 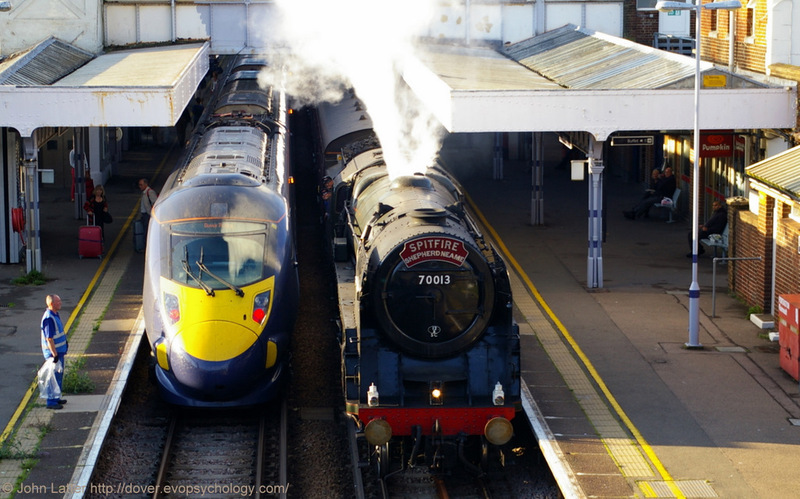 Dover Priory Train Station, Victorian) on The Spitfire and The Hop Picker railtour (Shepherd & Neame). Britannia Class 1951-1968, restored 2008. Last Officially Repaired Steam Locomotive from Crewe Works. Photo taken from the road bridge on Folkestone Road at 6.16 pm on Sunday, September the 3rd, 2011. Canterbury Tornado 60163 Steam Locomotive, Dover Priory Rail Station, Kent, UK. 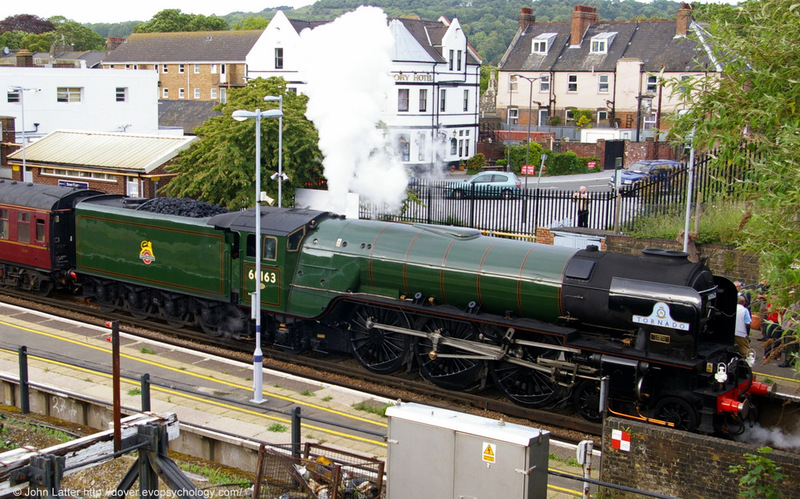 LNER A1 Class 4-6-2 no 60163 Tornado Steam Locomotive venting steam at Platform 1 of Dover Priory Railway Station (alt. Dover Priory Train Station, Victorian). British Railways Peppercorn Class; LNER stands for "London and North Eastern Railway". Photo taken from the road bridge on Folkestone Road, June 18th, 2011. 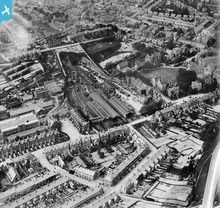 Also in view: Priory Hotel (a Dover pub) and Priory Station Approach Road. 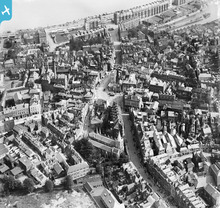 Places of interest in this photo include: the Market Square, Biggin Street, Cannon Street, King Street, Bench Street, Queen Street, Castle Street, Church of St Mary the Virgin ("St Mary's Church"), Wellington Crescent, and the Seafront. 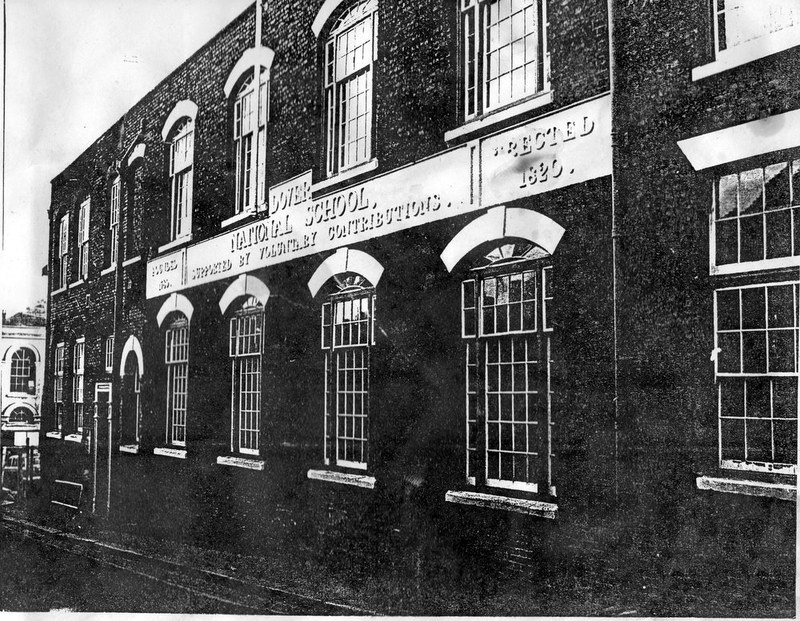 This building on the corner of Queen Street and Chapel Place was once the Ordnance Arms public house (until 1910, I think). I spent the first three years of my life here from 1951-1954. 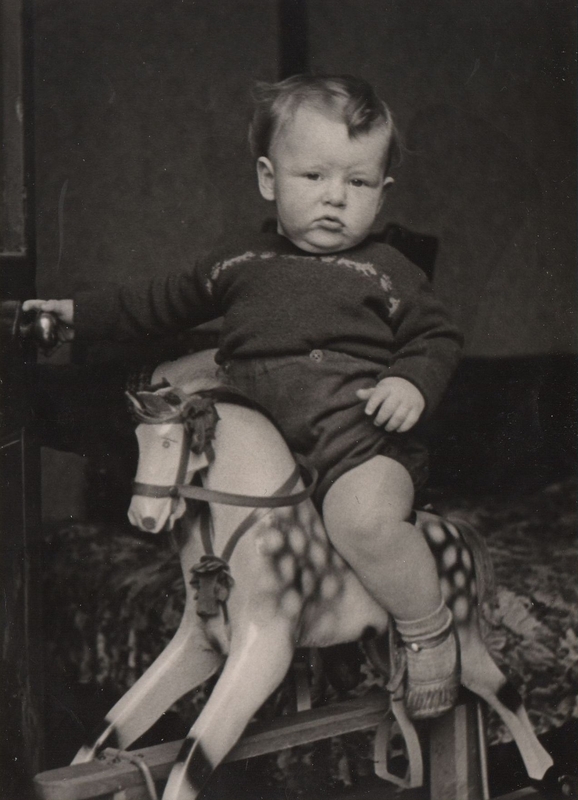 The glum look on my face in the photo was because I was given nothing to hold on to when first put on the rocking horse so I promptly fell off. 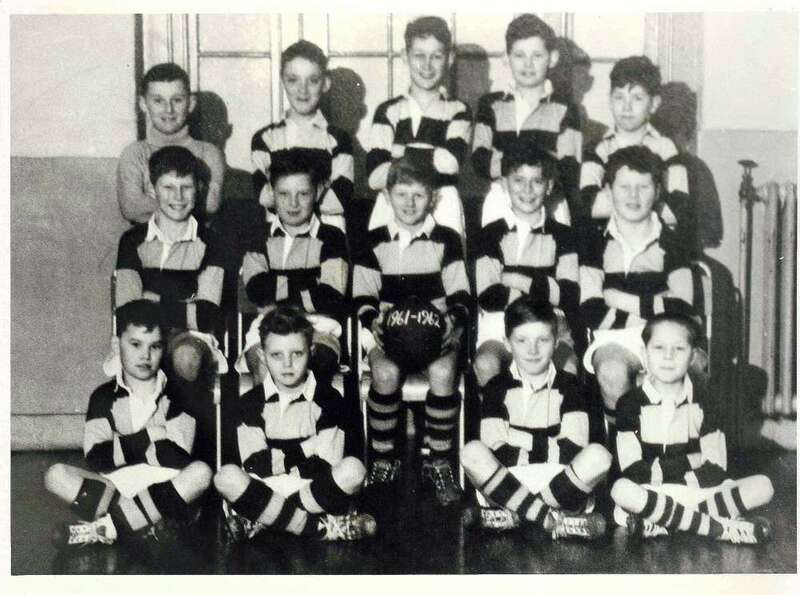 St Mary's Church of England Primary School 1961-1962 School Football Team, Queen Street, Dover, Kent, UK. 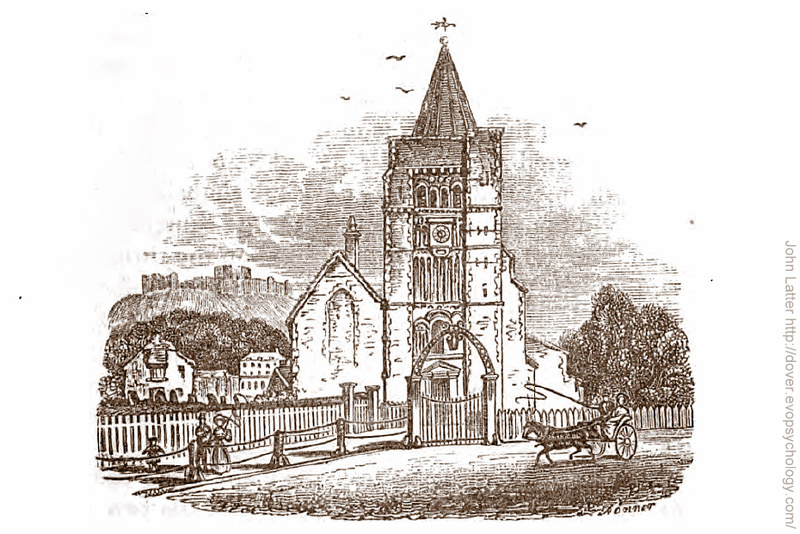 St Mary the Virgin Church engraving by George Wilmot Bonner, Dover, UK. St Mary the Virgin Church built on site of Roman baths: Norman, maybe Saxon in origin, restored by Victorians. A Grade II Listed Building located in Cannon Street, Dover, Kent, UK. Georgian artwork commisioned by St Mary the Virgin Church congregation: completed by 1837 at the latest, probably 1828 at the earliest. Made by wood-cut engraver G. W. Bonner of London, W. J. Linton an apprentice during this period. 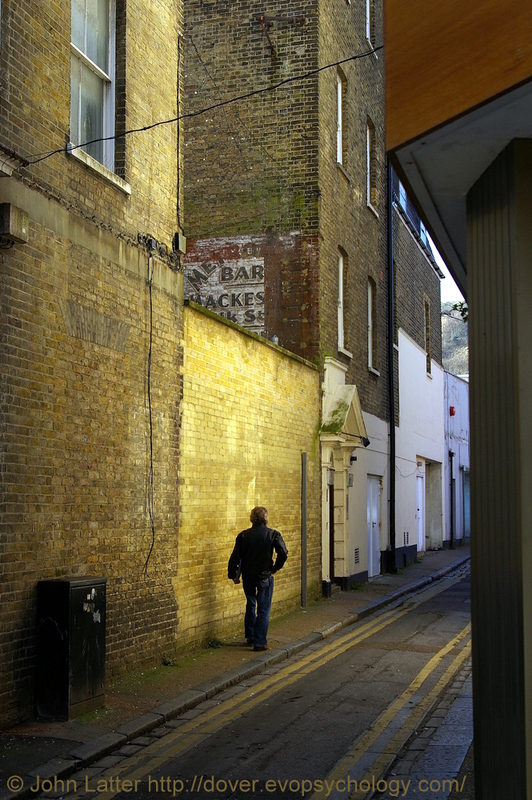 New Street (Turne-Againe Lane until c. 1785), Dover, Kent, UK. An atmospheric photograph of John Allister passing the Golden Wall (he shouldn't cast a shadow) while walking westwards along New Street towards the York Street bypass at 10.30 am on Sunday, March 22nd, 2009. The doorway in front of John used to be a side entrance to the Metropole Hotel (Metropole Bars; main entrance on Cannon Street, now JD Wetherspoon's The Eight Bells public house, or pub). John and I both went to St Mary's Church of England Primary School in the late 1950s and early 1960s when it was located in Queen Street. Dover Western Docks viewed from above the Western Heights. 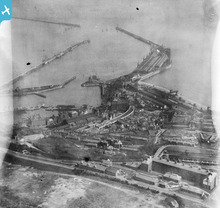 The "see image record" link has pins (placemarks) for the World War I Spanish Prince blockship at the western end of the Southern Breakwater and the Lord Warden Hotel (now Lord Warden House) at the landward end of the Admiralty Pier (the blockship at the lighthouse end of the pier is the Livonian cargoship). 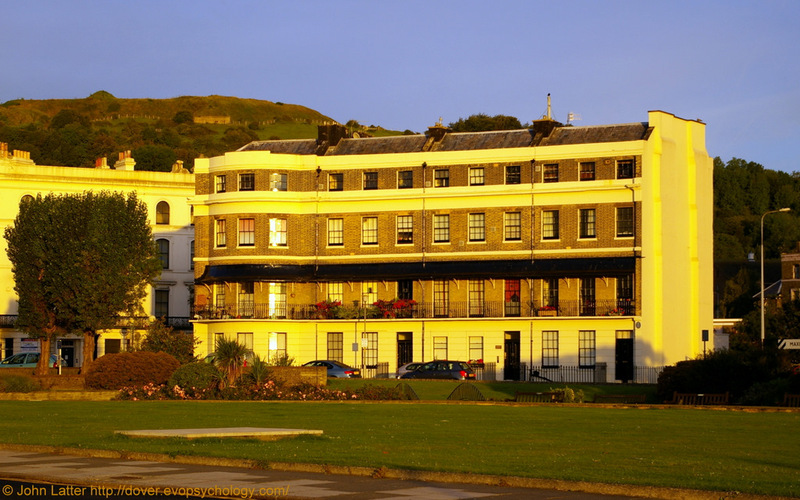 Lord Warden House, ex-Hotel and HMS Wasp Shore Station, Dover, Kent, UK. 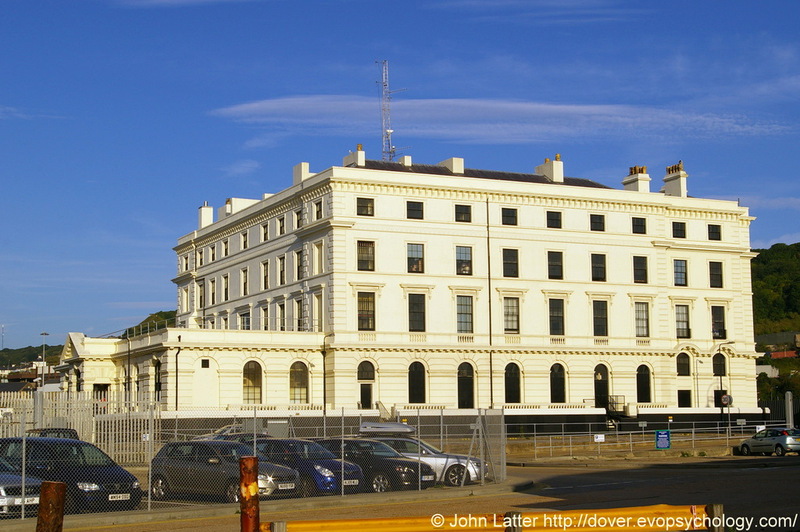 The Victorian former Lord Warden Hotel in the Western Docks was built by architect Samuel Beazley between 1848-1853. Louis Bleriot had breakfast here after the first flight across the English Channel in 1909. Charles Dickens, William Makepeace Thackeray, and Emperor Napoleon III also stayed here. Became Royal Navy's HMS Wasp Shore Station during World War II. Now Lord Warden House and used by freight agents. Grade II Listed Building. Bow of Spanish Prince (ex-Knight Batchelor) about 90 feet from Dover Breakwater West End Light (lighthouse), Western Entrance. Stern pointing to beach. Ship scuttled in 1915 during First World War, along with cargoship Livonian. Waasland and Gaverland Sea Barges arrived in June, 2010, to remove the Spanish Prince. 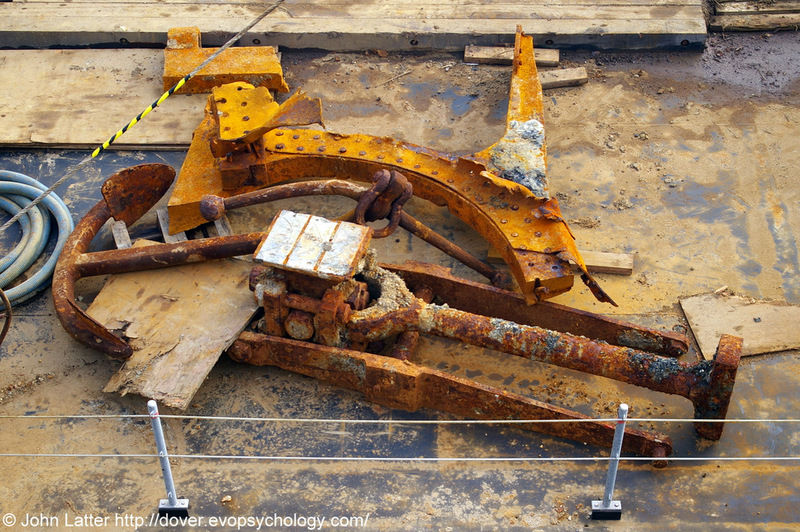 Artefacts recovered from the World War I Spanish Prince Wreck, Dover Harbour, Kent, UK. 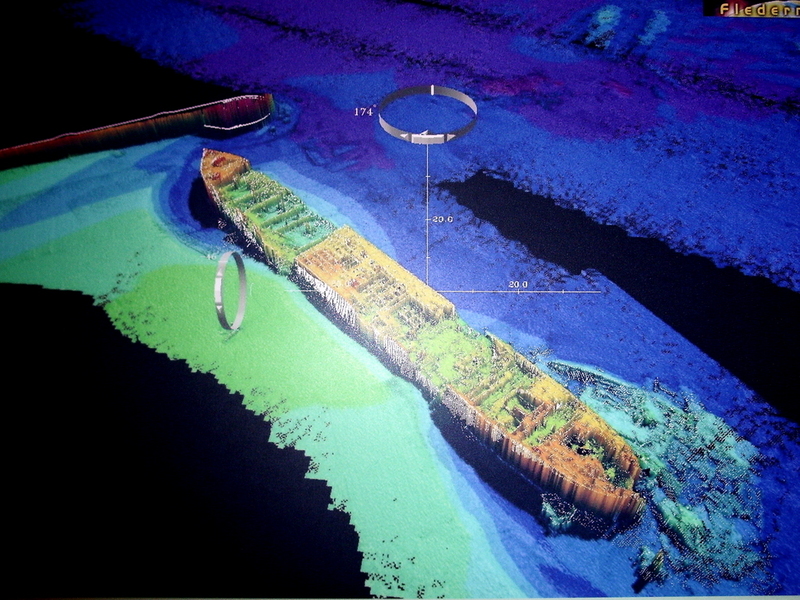 The object above the anchor shank appears to be the curved arch of the wreck's stern, with the vertical section on the right being the bottom of the keel above which (ie to the left) the rudder was once fixed. The squat L-shaped item towards top-left may be the top of the rudder post (ie the rudder once lay between it and the bottom of the keel to the right). Members of the Gaverland Sea Barge crew thought the anchor was "a bit small" for a ship the size of the Spanish Prince - perhaps it belonged to the War Sepoy (an adjacent World War II blockship), or maybe it was just part of the ballast loaded prior to scuttling. The town and harbour in July 2009, from 2,000 feet. I've looked at a number of modern-day aerial shots of Dover over the years and they've all been interesting for one reason or another. Your photo, however, is easily the most stunning view I've seen!